Comprehensive training and development for prospective guides, wishing to conduct dedicated marine environment tours or gain experience. 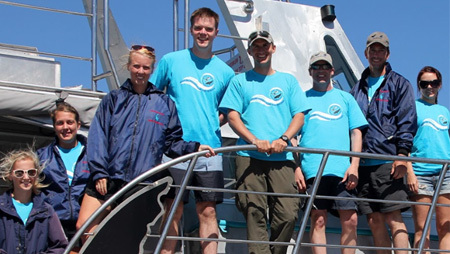 The Marine Dynamics Academy , Coastal-Marine Guide Course provides professional training and development for prospective guides who wish to conduct guide experiences in the coastal marine environment. 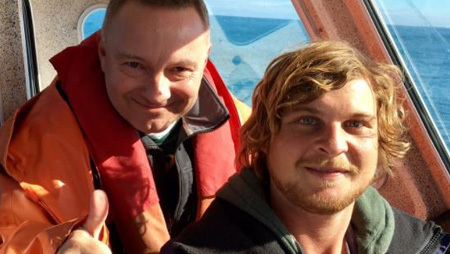 The Marine Dynamics coastal-marine course programme will be split into aspects including lectures (both classroom and outdoor) conducted by the course instructors and subject matter experts, practical training boat trips, visits to surrounding nature areas, self-study and workbook completion time and a lot of fun. You will be provided with the programme schedule at the start of the course to ensure you have a full understanding of all the requirements for the duration of the course. The learning materials for the course including workbooks, logbook and Learner Manuals will be supplied as part of the course. Marine Dynamics will have a reference library for further reading and research purposes. 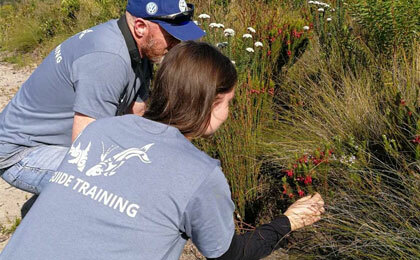 Join Marine Dynamics Academy and experience the diverse Kleinbaai, Gansbaai, Dyer Island and Walker Bay reserve areas for a personal guide development programme. Marine Dynamics Academy will administer your membership and qualification through the Field Guides Association of Southern Africa (FGASA), providing you with an opportunity to qualify and register as a legal guide. 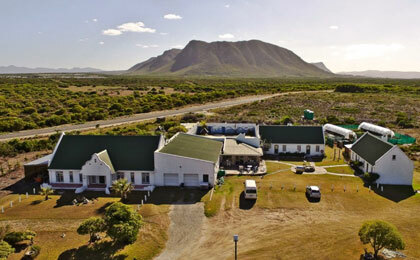 Accommodation in close proximity to the Marine Dynamics Academy training centre. 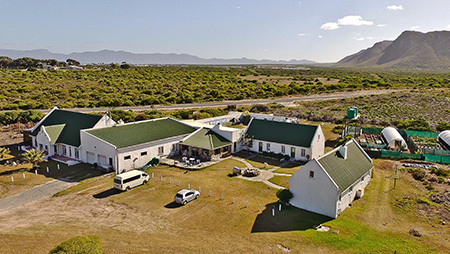 This will be shared accommodation in the beautiful Kleinbaai area, home to the densest population of great white sharks in the world, and an important breeding area for southern right whales, Cape fur seals and numerous bird species, an offshore colony of endangered African Penguins. 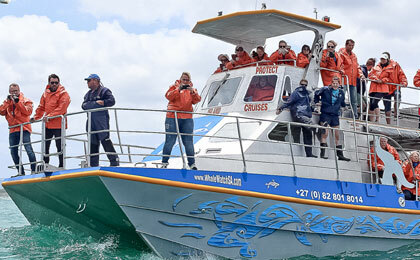 We've no doubt you have several questions about the Marine-Coastal Guiding program, many of which can be answered here. Pictures speak a thousand words, so we've prepared a gallery of images and video to give you an idea of what to expect on this program. 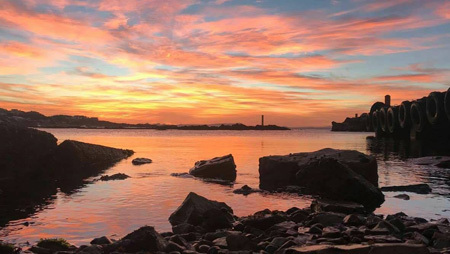 Visit the Marine-Coastal Guiding blog for all the latest updates, including blogs written by the students themselves. You can apply to Marine-Coastal Guiding online. Simply follow the link below to complete a short online form and our team will be in touch. 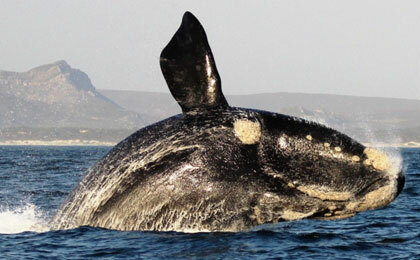 Embrace South Africa's coastal environment. Immerse yourself in the flora and fauna. Learn to become a guide.